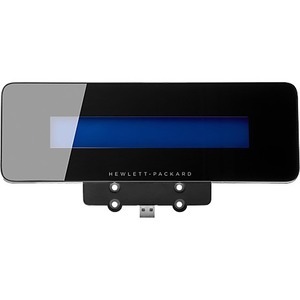 Simply connect the display to an HP L6015tm or L6017tm display, or HP RP2 Retail System through the USB bezel connector that powers the CFD and eliminates the need for additional cabling. Deliver easily readable pricing, product, and order information to your customers on a crisp, clear LCD customer-facing display. Select the complex or non-complex versions for your specific installation. Place the durable display in a range of high-traffic areas. The edge-to-edge, bezel-less design is easy to clean, resistant to dust, and creates a sleek, modern appearance.